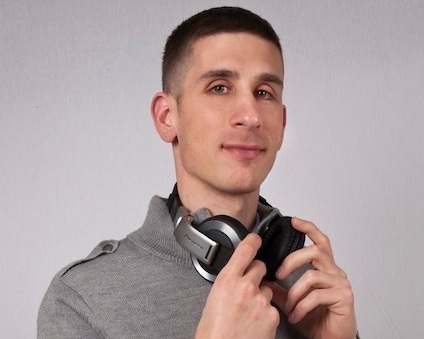 DJ Vin’s sound waves have been echoing throughout Fairfield County since 2001. Starting out with a passion for collecting music, Vinnie was instantly recognized for his extraordinary music knowledge. After some encouragement from a close friend, he went out and started buying equipment. Practicing at every opportunity, from his bedroom to friend’s picnics, he became comfortable enough for the world and started gracing the stages all over Fairfield County. Holding residencies in over 20 bars and clubs, DJ Vin hasn’t stopped there. His large collection and vast knowledge of music have given him the opportunity to go beyond his bar and club residencies with exclusive mobile events. From performing at corporate functions (including: “Bacardi O” and Pepsi), Sweet 16’s, graduations, proms, and birthdays, to countless weddings all over the Northeast. Not only is he naturally quick to lend a helping hand, but Vinnie’s main goal is to make every event a success! What makes DJ Vin stand apart from other DJ’s? Besides his vast music knowledge, he's accommodating, calm-natured and detail-oriented. Vinnie is wonderfully approachable and understands his client’s requests in such a way that enables him to execute them with ease. DJ Vin’s business is personal to him and he takes it seriously, while making certain that his clients are satisfied and their guests are on their feet enjoying themselves. Check out the WeddingWire Testimonials to see for yourself!